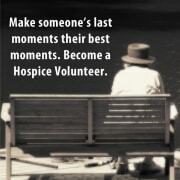 Be part of our special team of Encompass Hospice Volunteers. We care for our patients in the place they call home - private residence, skilled nursing facility, assisted living facility, or other inpatient setting. Just a few hours a week can make a lasting impact on the lives of others.